Chronicling a legend: We’re pretty sure Mark Futch would like the way that sounds, and it’s pretty apt. 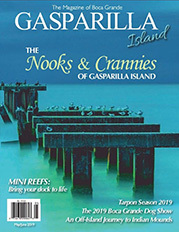 Every time a small plane flies low over the island, every time tarpon season comes and goes, every time another tall fishing tale is told, we’ll be looking instinctively for Mark. And now he won’t be there when we do, and it seems very unfair. 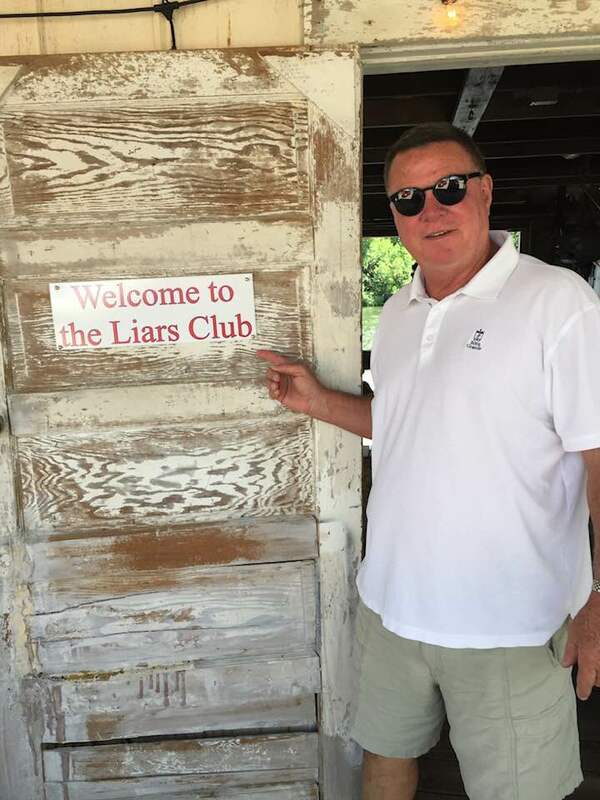 Mark’s brother David, who currently lives in California, Mark’s wife Kathy, Mark’s daughter Rey and family friends Wil Shriner and Barbara Malloy have all written down their thoughts of Mark and would like to share them with us. We are glad they did. Mark Futch was a good family man and provider, a brilliant pilot and fishing guide. Opinionated, with absolute confidence in his talents, Mark never saw a plane he couldn’t fly or a tarpon he couldn’t tame. He was bigger than life. He could out-talk, out-walk, out- shoot and out-fish anyone. And he never shied away from speaking truth to power. But Mark’s voice was suddenly silenced Tuesday, Sept. 18, 2018 when he died of sudden cardiac arrest at his Punta Gorda home just one week before his 64th birthday. Everyone who knew Mark knew how he loved and doted on his son Matt, daughter Rey and, of course, his three grandchildren. 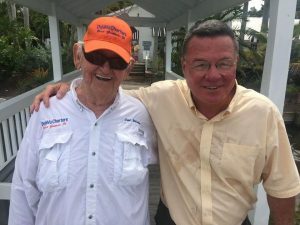 He also will be remembered as one of the best fishing guides in Florida and a top-shelf pilot who was married to his wife Kathy for 43 years. And I will remember him as my brother. Only a year and a month apart in age, Mark and I shared a tough childhood along with a love of sports, good books and Florida wildlife. We also shared a habit of starting our days with a brother-to-brother phone call, usually around 4 a.m. California time. I knew my brother backwards and forwards. And the more I knew, the bigger my little brother seemed to me. The list of people he knew and flew was astonishing. It was a Who’s Who of American society, politics, literature, Hollywood, flying, fishing and wealth. And they all trusted him with their lives. 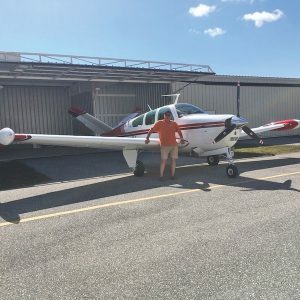 In fact, the only time a pilot refused to let Futch take the controls occurred when he was invited aboard President George W. Bush’s Air Force One in Sarasota. 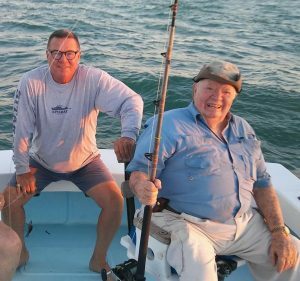 The president was visiting Boca Grande friends and wanted to fish with Capt. Phil O’Bannon. When it was time to locate where redfish and snook were gathered in Charlotte Harbor, Mark took to the skies to find schools of fish so President Bush could catch as many as he wanted. And he did. The son of the late Karl Futch of Boca Grande and Shirley Cassady of Punta Gorda, Mark was born in Winter Haven. He graduated from Clearwater High School in the Tampa Bay area, where he was a standout athlete in football and wrestling. As a 12-year-old Little League baseball player, he hit 14 home runs in a 12-game season, three in one game as a member of the Lake Alfred Lions in Central Florida. 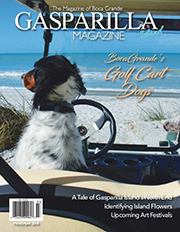 Mark moved back to his ancestral home of Boca Grande at age 20, working as a carpenter before getting his U.S. Coast Guard motorboat operator’s license. He was the fourth generation of his family to be a fishing guide. On top of his skills as a raconteur, Mark was a community leader who took many an island child under his wing. A self-made, well-read man, Futch devoured everything from Mark Twain to Ernest Hemingway to Thomas McGuane to Randy Wayne White, the latter two he called friends. He was a student of Robert E. Lee, Ulysses S, Grant and Teddy Roosevelt. He was a history buff with an unparalleled knowledge of Civil War battles. Not only did he know all the generals on both sides involved in every major battle but also their subordinates and how each maneuvered their troops. 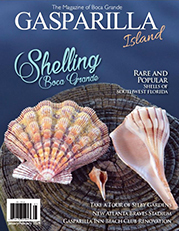 Mark won more than a dozen tarpon tournaments, a feat he shares with island guides Nat Italiano and Waylon Mills. 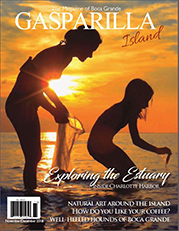 He was a board member of Useppa Island’s Izaak Walton Club, founded in 1908 as one of the first conservation groups in America. 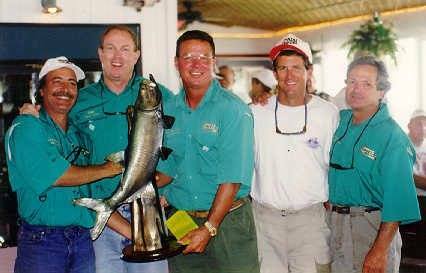 Mark Futch twice won the World’s Richest Tarpon Tournament, which garnered his team more than $300,000 in prize money and added to his already stellar reputation as a top guide. He won so many Millers Marina Tarpon Tide Tournaments that his boat always topped the list of favorites at the Friday night Calcutta cocktail party. 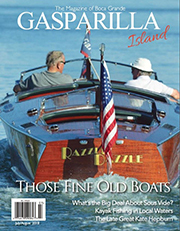 For 43 years, Futch led clients to ridiculous numbers of tarpon on his charter boat Sitarah. It wasn’t unusual on an afternoon falling tide for Futch to lead anglers to 20 tarpon jumped in the air, landing half or more of them. But his work to save Florida’s tarpon industry was my brother’s most outstanding accomplishment and the achievement of which he was proudest. 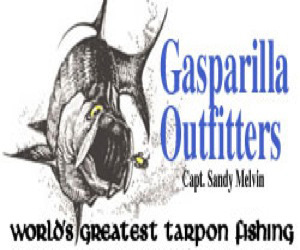 Along with fellow Gasparilla Island guides Frank Davis and Tom McLaughlin, Futch and the group Save The Tarpon were instrumental in convincing the Florida Fish and Wildlife Conservation Commission to ban a weighted jig that was killing tarpon. 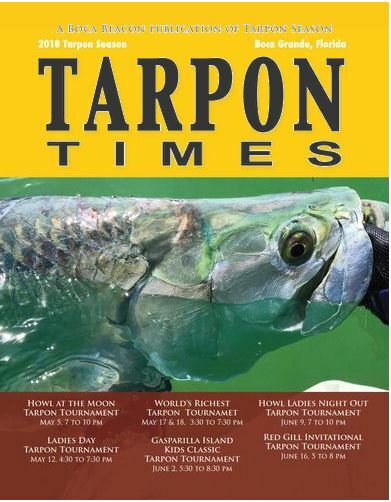 The ruling put an end to made-for-television tarpon tournaments where dozens of dead fish floated to the surface each week, but always off-camera. Mark was quick to praise others such as Charlie Harrison and Randy Baird, who were instrumental in helping Save The Tarpon by loaning their planes whenever Mark, Frank and Tom needed to attend FWC meetings from Key West to Pensacola. When he wasn’t on the sea, Mark was in the air, sometimes fishing a 4 a.m. tide, then hopping in his plane to take someone to Miami, then back in time for an afternoon hill-tide tarpon session. 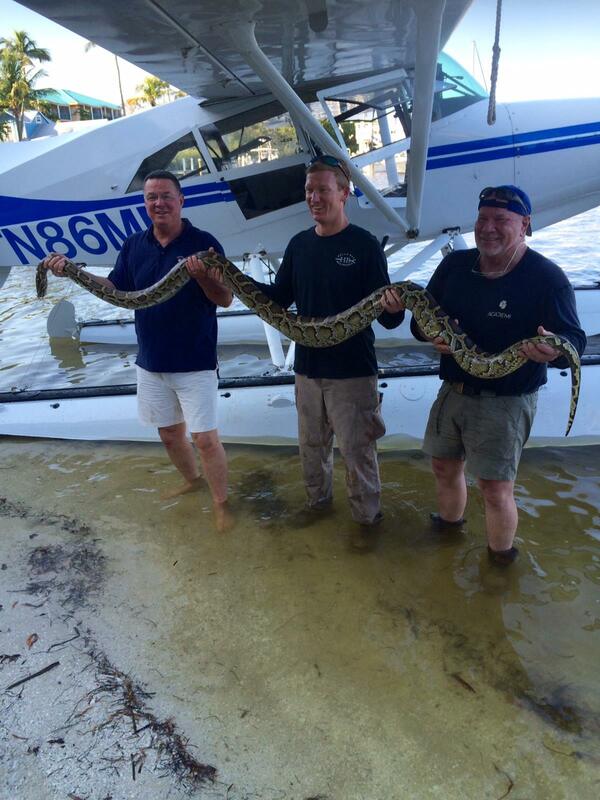 Over a 33-year career, my brother logged more than 25,000 hours flying for his business, Boca Grande Seaplane. 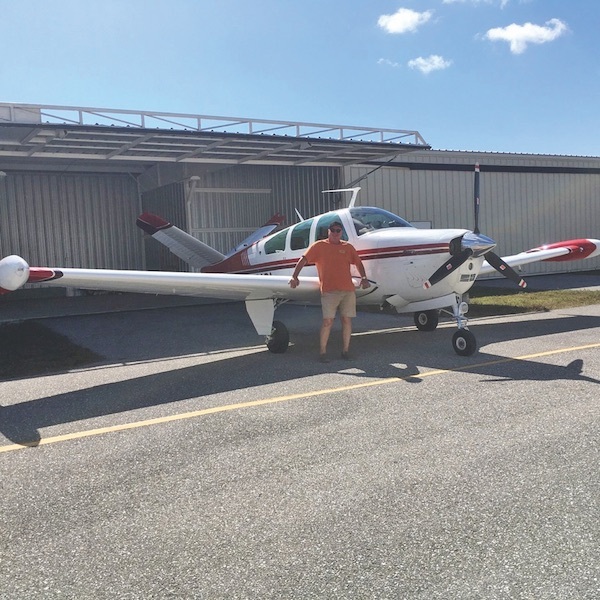 According to Maule Air in Moultrie, Ga., Mark had more time in a Maule floatplane than any pilot they knew, including their test pilots. He was a consultant for the Federal Aviation Administration’s rules and regulations and a board member and former secretary of the Seaplane Pilots Association and its foundation that raises money for a permanent base in Central Florida. 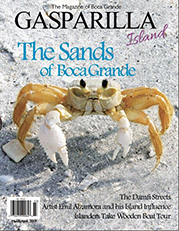 Futch flew some of Boca Grande’s most prominent families back and forth from their homes on Gasparilla Island to Palm Beach, Miami or the Florida Keys. 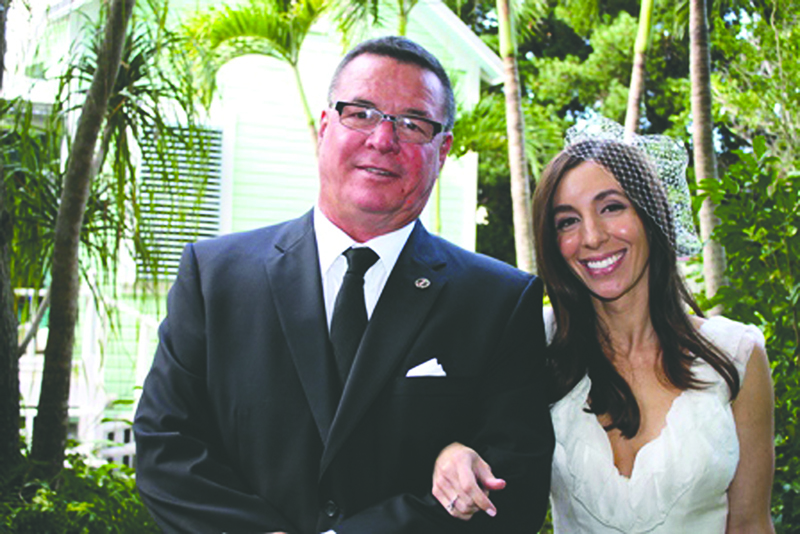 He had a long-lasting friendship with island scion and Gasparilla Inn owner Bayard Sharp. The two flew hundreds of hours in Futch’s Maule. Mark’s favorite destinations were less than a five-minute flight to Turtle and Bulls Bay where he would land to pick oysters. His favorite customer was four-time Oscar-winner Katharine Hepburn, who would sit on the floats of Futch’s plane while he culled oysters, shucking them for Hepburn as she downed beers. He said they would talk for hours about everything from politics to movies and books. Hepburn would go on and on about dating industrialist and pilot Howard Hughes. As a pilot, Mark never tired of hearing her talk about Hughes, one of his heroes of the sky. Mark’s wife Kathy also was a friend, often penning personal letters in her wonderful handwriting for Hepburn. But the zenith of Mark’s career as a pilot and fishing guide came when he caught a 110-pound tarpon for the first man on the moon, Neil Armstrong. It was the only time Mark ever asked someone for a photograph. When Armstrong’s friend returned the developed picture, Armstrong had autographed it, something Armstrong almost never did. Novelist Randy Wayne White went on a number of seaplane adventures with Mark, once to the Everglades on a python hunt with White and Jeff Carter, son of President Jimmy Carter. Mark was fond of telling about nearly stepping on an 18-foot snake. Mark would try anything or use any bait to catch a tarpon. He and lifelong friend and fishing partner George Melissas invented the tarpon jig specifically for tournament fishing, then turned against it when they realized those jigs were injuring and killing tarpon. Mark used the jig sparingly, preferring to fish with live bait when money wasn’t on the line. In one tournament, Futch and Melissas went so far as to put goldfish on their hooks. They caught tarpon, but goldfish were outlawed in tournaments after that. For two decades, Futch was “Director of Fun” for Randy Baird of JRB Construction Equipment in Akron, flying Baird’s Grumman Widgeon everywhere in North America and Canada. A superb fly fisherman and a crack shot, Mark was proud of the fact he’d been in every state in the Continental U.S. as well as the Bahamas in search of walleye pike, salmon, bonefish and birds. When the movie or advertising industry needed a pilot to do risky maneuvers or scout locations, they called Futch. That’s him in a dress and blond wig for a seaplane stunt over the Everglades in the movie “Gone Fishin’ ” with Joe Pesci and Danny Glover. The appearance earned him his Screen Actors Guild card and voting membership in the Academy of Motion Picture Arts and Sciences. He also worked on movie sets such as “Out of Time” with Denzel Washington and “Hoot” by Miami writer Carl Hiaasen. Mark is featured during “Hoot” credits at the end, with a minute-long panoramic shot of him flying low over the Everglades. Futch recently put a new engine in Sitarah and was looking forward to getting to 50 years fishing the Pass. Now someone else must take the helm. The following is from Ernest Hemingway’s “The Old Man and the Sea” and applies to my brother. It’s his favorite passage and the same one he read at his Uncle Billy Wheeler’s funeral in 1999. “The old man was thin and gaunt, with deep wrinkles in the back of his neck. The brown splotches of the benevolent skin cancer the sun brings from its reflection on the tropic seas were on his cheeks. The blotches ran well down the sides of his face, and his hands had the deep-creased scars from handling heavy fish on the cords. But none of these scars were fresh. They were as old as erosions in a fishless desert. I loved my brother to an extent no one can know. We talked often, almost every morning. Me in Los Angeles, he in Punta Gorda. Me a left-coast Democrat and he a libertarian, discussing world affairs and wondering if world leaders would be interested in our advice. But I remember most of all growing up with my brother, watching his back and he watching mine. And taking care of our oldest brother Danny. And taking care of each other. Oh, what a night it was, it really was, such a night. From the first dance to the last, it’s been such a life and will never be the same. It had to be his heart that took him down. It was so big. I haven’t heard so many grown men cry than when they learned of his passing. What a testament. From our unique and, at that time, original wedding on Banyan Street in 1975, where I like to say, when the natives and the hippies came together, to the filling of the old Pink Elephant that night, to taking Chalk’s Seaplane to Bimini to spend our honeymoon at the Compleat Angler Club of Hemmingway fame. I should have known to be ready for a ride. Everything that he accomplished in his life, he shared greatly. 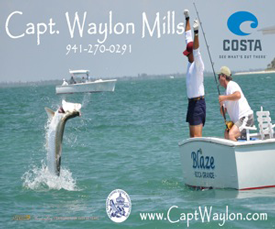 There cannot be anyone who passed on his love of tarpon fishing and flying more than my husband, Mark. Hold up your hand if you or your family member caught their first tarpon with him – or had their first thrill of a seaplane ride with one of the best – or thanked him for sharing a bucket of his much-loved Tommy Atkins mangoes or Bulls Bay oysters he gave out freely, enjoying the thought you would be hooked forever. To him, his best accomplishment was his children, Matt and Rey, and then his beautiful and smart grandchildren, Francis Futch and Olivia and Pierce Urbat. No one could have been more proud of or loved more dearly. He did often talk of his magnum opus as being the adventurous flying he did in Cocos Island, Costa Rica and the experience with the French film group Ushuaia Nature and Krov Menuhin, son of the famous violinist, Yehudi Menuhin. Yes, he liked to be the center of attention, telling his stories of local color or sharing his love and pride of local history. 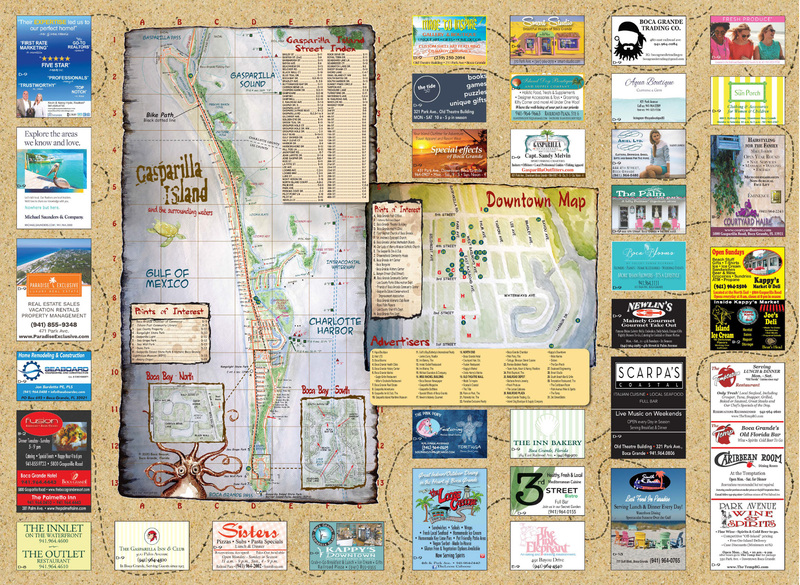 There wasn’t a better docent around to take you through Useppa Island Museum or Collier Inn. His love of music was as diverse as his friends, from the hard rock of Lincoln Park to the operatic singing of Pavarotti. Which made the most recent thrill his brother David and wife Sally treated him to, was a concert at the Hollywood Bowl to hear and see Itzhak Perlman play with the L.A. Philharmonic Orchestra conducted by Gustavo Dudamel, just huge, and he couldn’t stop talking about it. Thank you. All we shared these 43 years together, all the people I met and shared time together with because of him, I will always cherish. I will miss all the little catch phrases we interjected in our conversations when alone that no one else will ever understand. Thank you, my darling. I love and miss you, and I will never forget you. Mark Futch was a Renaissance man, a man’s man and a really cool dad. I could share so many adventurous stories growing up as Mark’s daughter. He was a big kid. I remember bridge- jumping with him when I was 7 years old, meeting ACDC backstage with him when I was 12, and fishing and flying through the Caribbean when I was in college. The day before he walked me down the aisle, I told him how much he meant to me. I got to tell him how thankful I was for everything that he taught me, and how proud I was to be his daughter. I’m so grateful for that conversation. I have countless memories of tarpon fishing with him on the Sitarah. I always thought that my children would share those same memories with him someday as well. My dad loved his grandchildren, and he always said that he was a “rich man” whenever he was with them. I will do my best to share all of the stories that he would have shared with them, although I will never be able to tell them with the same conviction or flavor. I will pass along his legacy by teaching my children everything that he taught me, regardless of how unconventional some of those lessons might be. And I will share with them his passion for adventure. My dad was a fun guy to be around, and most importantly, he was kind, generous and compassionate. He always had my back, too. Whenever I would call him with a problem, he would say, “Do you want me to get (insert person) in a headlock?” It always made me laugh. I never took him up on his offer, but I’m sure that if I had, he would have been there. He was my buddy. Words cannot express how much I miss my dad. And while his life may have been cut short, I find comfort in knowing that the life he lived was lived to the fullest. Ever since last week’s awful shock that the life of someone so active, strong, capable and filled with purpose as Mark Futch had come to an abrupt end, my sorrowful thoughts keep turning to him and his grieving family. Wish i could be there to embrace my faithful friend, Kathy, lend a hand or offer a shoulder, reach out to dear Rey and Matt, whose so loveable little ones will be a comfort to all, thoughthe elder two may need help to understand. Hard to explain to children of such a tender age what their “grownups” can barely comprehend and are painfully struggling to accept. 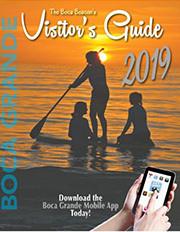 As Beacon readers know, support of Boca Grande’s close-knit community can be essential in times of loss, so I am grateful for that now on their behalf, as I was decades ago when it helped me through the sudden death of my ever-energetic Daddy, just days after visiting on our Alice’s third birthday. After my pal (dedicated Beacon columnist) Delores Savas bore the difficult duty of informing me (drawing from sad experience of her own father’s similar death), my other “ministering angels” included Kathy and her best friend, the dearly missed Kathy Stockman (they were house mates up north before she moved to “paradise” on Gasparilla Island). Their kindness to me was among countless good deeds by each of them that have benefitted the town, people and animals. Not surprising that when those two caring souls met, they had a special affinity from the start. Valuing inherited traditions of this area, yet seeking to make improvements as he learned necessary, are emblematic of Mark. Their romantic wedding grew into a great partnership. Both enterprising with engaging personalities; Kathy more drawn to the arts and painting, theatre and poetry, and he to books, history and feats of fishing and flying, They’ve shared a vital interest in local or broader events, and concern for conditions or policies affecting marine environment which led to focus on civic duty and complex variables. They were always ready to join in the fun (as recent Boca reunion pix will attest), sharing the laughter (often providing a good deal of it, with his lively story-telling or her comedic talent and flair for costumes). By “nature AND nurture” their combined strengths in analytic and creative approach plus communication skills already shine forth in the second generation, with notable sparkle appearing in the new. This brings a shaft of light, however slightly discernable, in these dark hours. It feels too soon to transition from the immediacy of his visceral presence to a spiritual one, or to think of him in terms of memories. Yet I believe and pray his tales will be well recounted, along with stories of his adventures, dreams and charming anecdotes woven into the vivid tapestry by fond friends and family members as “Keepers of the Legend,” to remember, and to inspire limitless horizons as befitting his own. May all these live on: “Unto their children’s children,” and be a blessing. Futch is survived by his wife Kathy of Punta Gorda; son Matthew and Matt’s son Francis Xavier of Orlando; daughter Rey Urbat and her husband Christian of Tampa and their daughter, Olivia, and son Pierce; brother David of Santa Monica, Calif. and his wife, Sally; and brother Danny of Jackson, Miss. 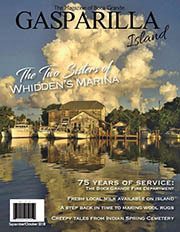 Services will be held on Saturday, Oct. 13 at 10 a.m. at Boca Grande Pass. A celebration of Mark’s life will be held immediately afterward at the Boca Bay Power House (potluck).